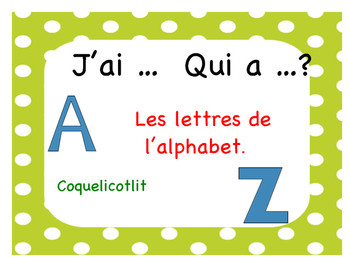 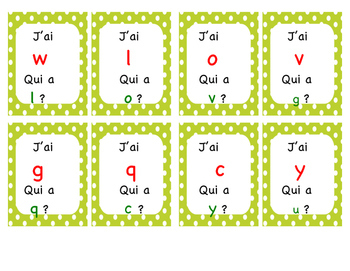 J'ai ... Qui a ... les lettres de l'alphabet. 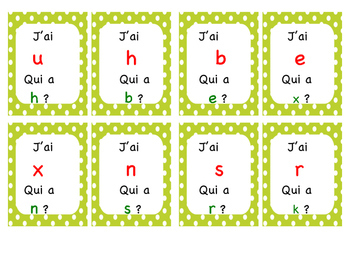 Fun game to practice the alphabet. 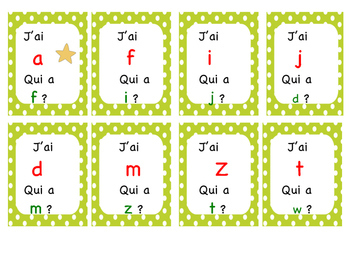 Pass one card to each student, some kids might have two, the one having the card with the star will begin.